At every school there is at least one teacher that the students love. The one class they all want to take. Surprisingly it is usually not because the class is unchallenging or easy to get an A in but the opposite. The class is usually challenging and getting an A is difficult. However, the students all want to take it and that is because of the teacher. So what does that teacher have? Why do students petition to get into their class? That teacher has learned that one of the most important ingredients to a successful class is having a positive relationship with their students. This teacher can turn a passive student that turns in no assignments for other teachers into an attentive student that participates in their class. They know how to work with a student that has behavior issues in other classes so that they are minimal in their class. What is their secret? How do they create these positive relationships? What can we learn from them? I am lucky enough to work at a school where we don't have just one of these teachers but many and at least one in every subject area. 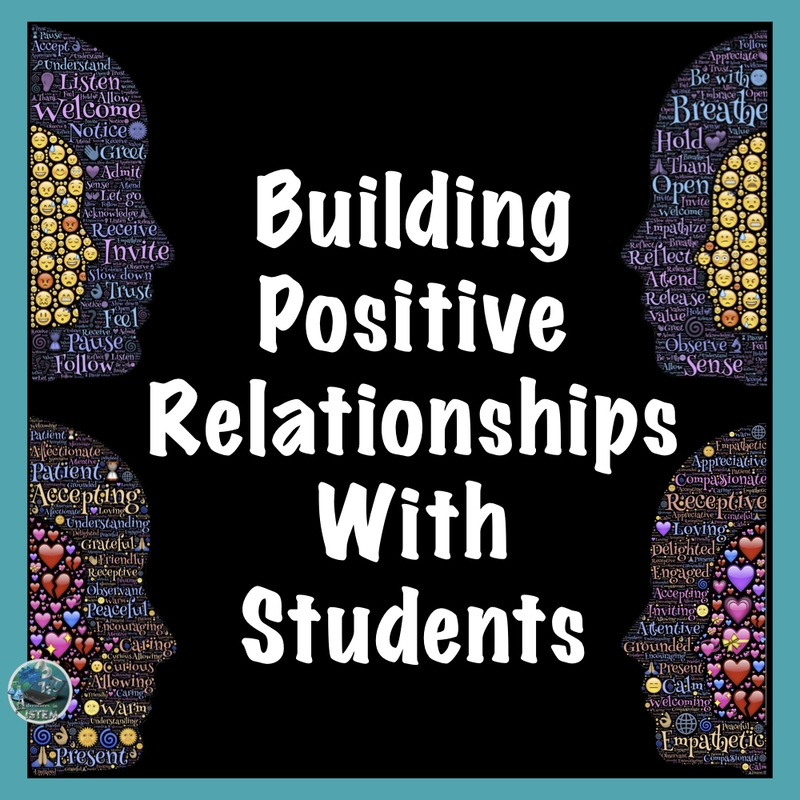 Below are some of the strategies these teachers do to help build and maintain positive relationships with their students so that their students want to push themselves and work as hard as possible for these teachers. There is power in a name. Imagine how important you make someone feel when you can call them by name without having to look at a seating chart or list. That you can just look at them and know their name. This becomes very important when you have 180 plus students. I know some teachers who seem to know all their students names within a few days. For me its more challenging trying to remember all 180 students. Here are some techniques I have found that have made it easier. 1. create a seating chart with their name and picture. While they are in class working on assignments walk around and use the seating chart to try and memorize their name as you ask them questions or comment on their work. 2. When you call on a student use their name to first call on them and then to thank them for their answer. 3. work on memorizing at least 5 students names from each class every night until you have every student from all your classes memorized. One way to start your students day off right is to greet them at the door with a smile and shake their hands as they enter. This is not only an opportunity to teach them how to properly greet people but also a way to brighten the day of a student who might have had a difficult morning or night at home. Find out what your students likes and passions are outside of school. If they play school sports take time out of your day to cheer them on. If they watch sports on tv than get the latest news and updates so you can have a brief one to two minute conversation with them. If they are into video games do some research on the game and ask them questions about it. If they are into music have a conversation about their favorite band or singer and why they like them. For my students its all about YouTube. They want to be the next big YouTube sensation. Taking an interest in their life outside of school shows them that they care. As a teacher we know the importance of providing our students with timely, relevant feedback to help them improve and grow. This is also important for us teachers. Allowing our students to give us feedback on how we are doing lets them know that we respect and honor their opinions and thoughts. It also lets us know what is working, what is not, and helps us adjust our teaching strategies. Unfortunately, for most students, they only hear negative feedback from a teacher in the form of corrections for doing something incorrect. This could be either behaviorally or on an assignment. While constructive negative feedback is important, positive feedback is just as if not more so important. When providing positive feedback make sure it is specific and praise the action. For example, instead of saying "great job" say "I really like how you used evidence from the investigations data to support your claim". Another example is, instead of simply saying "thank you" when a student is doing what they are supposed to be doing say "thank you for coming in quietly and getting out your agenda to write down tonights homework". This specific and positive feedback lets them know exactly what you liked and why so they can continue doing a great job. I had a student once that was so desperate for attention that when he entered the room he was always late and made a big production. He made sure everyone knew he arrived and during the class time if he needed to get something he would take the longest path to get it. He was kicked out of most teachers classrooms and had detention with at least one teacher or administrator every lunch and afternoon. So I used his need for attention to my advantage. I privately talked to him and gave him some jobs that I knew he would want to do because it would make him feel special, however, they were on conditions that he followed the classes procedures. He ended up coming early to class so that he could pass out the papers to all the students. If I needed something passed out during class, he was the one to do it. At the end of class he was in charge of making sure everyone put their Chromebooks back in the right spot. I also got to know about his likes outside of the classroom. Having him do these simple tasks meant that he was no longer the behavior issue in my class as he was in other teachers classes. This is just one example of not allowing a student to take center stage. Most discipline issue can be handled quietly and without the audience of others. I also allow students to email me about possible problems with other students so that I am aware and together we can develop a solution. Giving students a voice can be very powerful. I allow my students to choose where they are going to sit in my classroom. They are given three days to try out three different areas and then on the fourth day it is first come, first serve for picking their permanent spot for the next 5 weeks. This allows them to get a feel for the layout of the classroom so they can determine what is the best location for them to succeed. I also have veto power for those students that are having difficulty making good decisions so that they don't become a problem for the rest of the class. Using this method has helped cut down on a lot of discipline issues based on seating arrangements. I have found that for the most part students make great decisions for what works best for them. Also, allowing student choice in how they are going to learn the information or do their performance assessment creates more engagement from the students because they are doing what they choose. Listening to the students about what they want helps build that positive relationship. 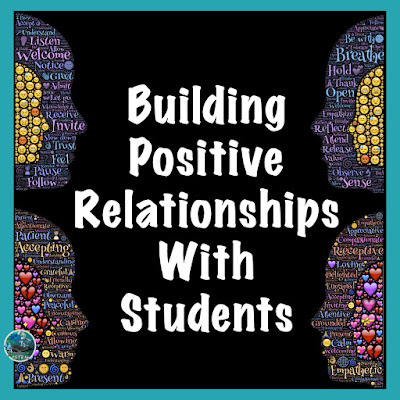 These are just some strategies that teachers do to build positive relationships with their students. I would love to hear about more strategies that you use.